I wish I’d come to Singapore in the ‘70s. First, to get some blessed relief from head-to-toe corduroy... and, second, to see the legendary mosaic playgrounds in their heyday. I recall being pretty well content with what England had to offer back then: a set of swings and a metal climbing frame set on a slab of reinforced concrete. Natural selection at play. 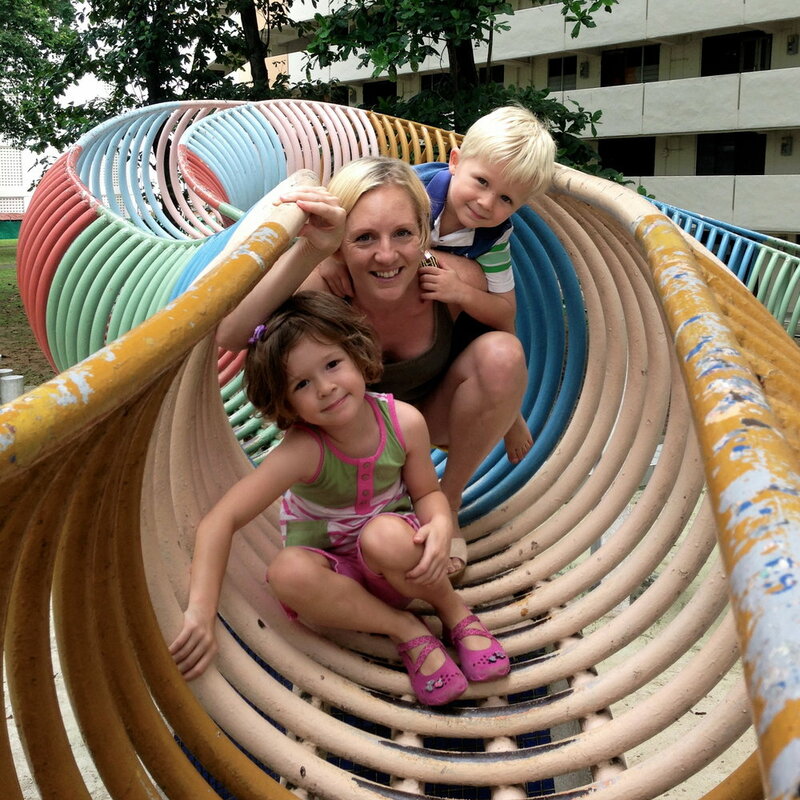 We paid a pilgrimage to one of Singapore’s last remaining dragon playgrounds just nearby our place in Toa Payoh. I read that Block 28 on Lorong 6 is condemned, so I don’t know if the dragon will survive much longer. 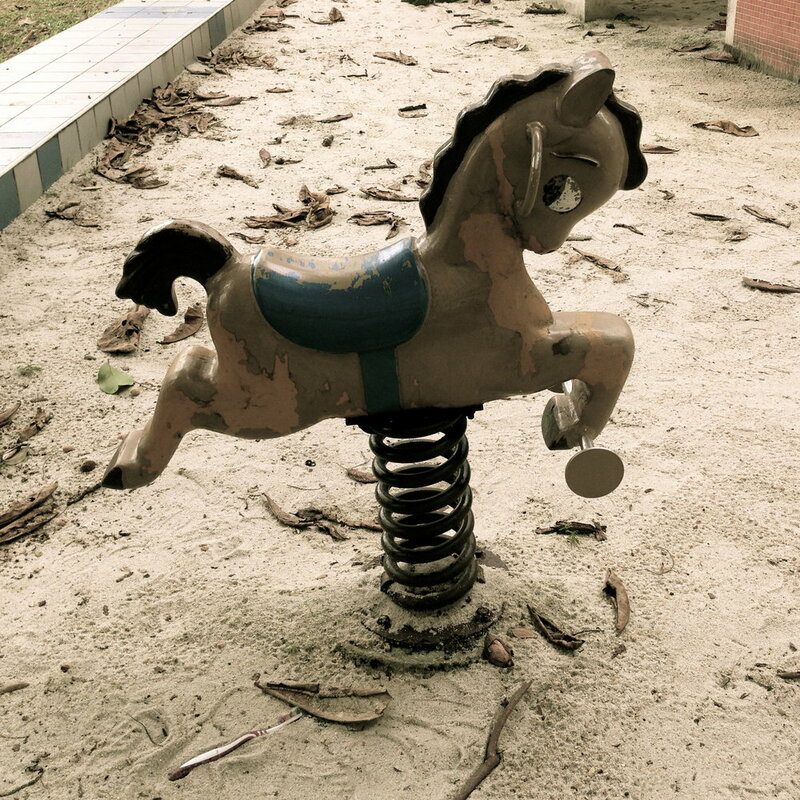 Apparently, most of the other mosaic playgrounds have long since disappeared. But they retain an iconic status in the shared psyche of the folk who grew up with them. And they're photogenic. My two kids loved our visit to the dragon. Don’t expect to spend an afternoon there - maybe an hour at best. In all honesty, it’s more of a photo op than anything. And don’t even think about health and safety. I know there were different standards of risk adversity in the 70s, but even so - the designers seem to have gone out of their way to create 'falling opportunities'. It's a learning experience, not so much for the kids as for the parents. Mums and Dads in the 70s were either more vigilant or more frequent visitors to A&E. But it’s old skool, it’s iconic - and it’s a dragon! If you'd like to visit, take the MRT to Toa Payoh and walk towards the SAFRA building - it's just opposite. Or there's a car park at the back of Block 28, Lorong 6.